When it comes to dresses for weddings Springfield IL and the surrounding area has Adore Bridal to trust! Any dress can look great on a hanger, so instead of purchasing your dress online, schedule an appointment with Adore Bridal and try on the dresses yourself! For any type of dresses for weddings Springfield IL brides have trusted Adore Bridal, and you should too! We have a wide collection of wedding dresses that can please any bride. Follow Adore Bridal & Specialty today on Pinterest to see all of our available wedding dresses. Also check out our Bridal Gowns page and photos of past Adore Brides to see what look we can create for you. We also have a wide variety of bridesmaid dresses and dresses for the mother of the bride! Our special occasion dresses come in floral patterns or an array of colors to match any venue and theme. We also offer different styles, such as dresses with sweetheart necklines, strapless dresses, two-piece dresses and more! Formal or informal, we have the special occasion dresses for your event! 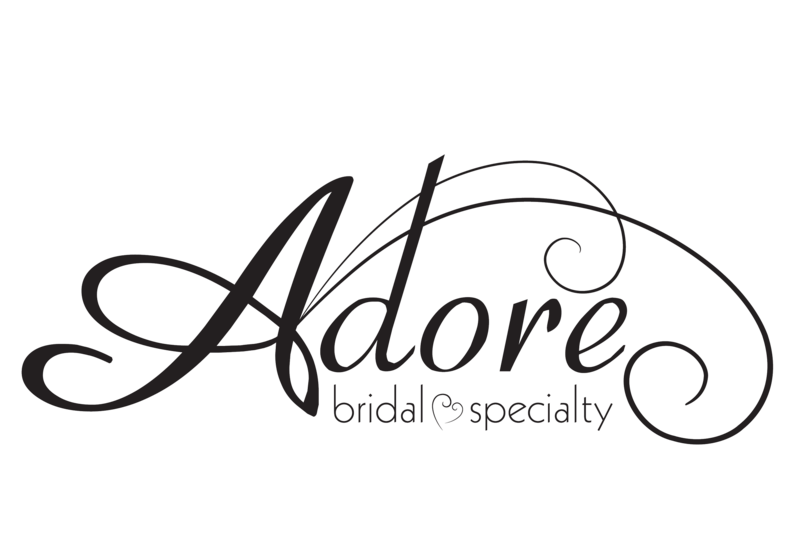 Book an appointment today with Adore Bridal and you will get the chance to talk to your personal Adore stylist before your appointment! Our stylists will do the leg work, and pull dresses that match your vision before you walk in our door. We also offer a great selection of bridal shoes and tuxedos! The Best Dresses for Weddings Springfield IL Can Provide and More! A·dor: to fall madly in love. Adore Bridal will make sure your entire wedding party leaves our store feeling beautiful, with dresses perfect for a wedding. Contact us online or call us at 309-291-0838 to schedule your appointment today!